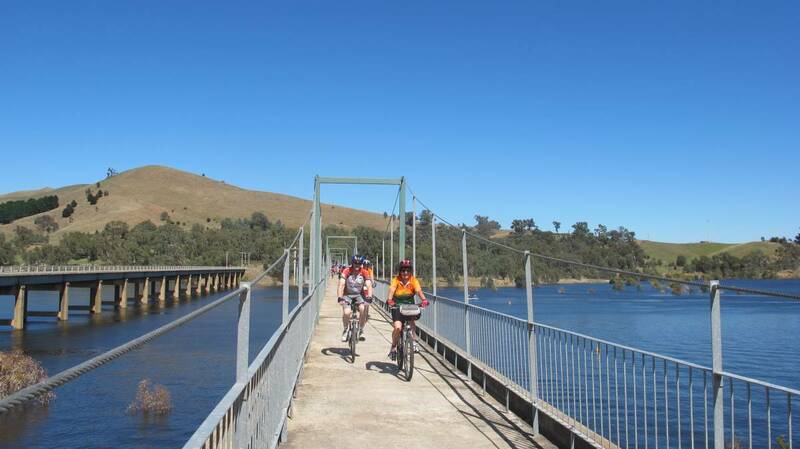 Once we have shuttled you, friends and or your family to Boonie Doon township start the ride over the famous Bridge that cross's Lake Eildon then enjoy the flat smooth path towards Mansfield soaking up the stillness and views of the high country. Meet at the Mansfield shop at 9.30am to be fitted for bikes then jump aboard our shuttle bus for the 20 min drive to Boonie Doon. The 22km ride will take between 1.5 hours to 2 hours depending on your speed and how many stops you take. Package includes bike hire, helmet and shuttle.